“Change your posture and you change the way you breathe. Change your breathing and you change your nervous system. ​a group that explores how movement, breathing and meditation techniques can help reduce stress, regulate emotions and improve health! ​The program begins in late September and is open to both adults and teens (age 15 and older). Even schools are now offering mindfulness and meditation programs for youth. It helps with emotion regulation so much so that some schools have made these practices part of the students' daily routine. At One World Wellness, we hope to hold space within this program for people going through emotional difficulties such as stress, anxiety, grief or depression. Participants are invited to try the gentle postures of Hatha yoga and SunDo, a Taoist yoga practice which also includes healing breathwork and meditation. There will also be time for small group or individual discussion and processing of personal insights, challenges, and goals with a highly-trained therapist. ​Each week will focus on a specific theme related to the therapeutic practice of yoga. As group members move through the program, they will build upon skills and themes from previous weeks. Guidance on personal practice outside of class will also be provided. Shallow breathing can create a state of arousal in the sympathetic nervous system, which can lead to heightened stress levels. SunDo breathing exercises decrease arousal, which in turn calms and focuses the mind, relaxes the body, oxygenates the blood, soothes anxiety and stress, and promotes clear thinking. 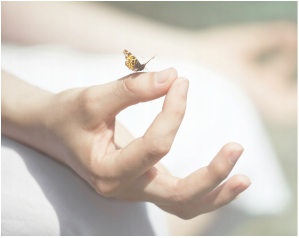 SunDo meditation uses relaxing rhythmic music to focus the mind on the breath. If your mind begins to drift, simply return to the breath and refocus your attention on the music. Many beginner students find that this type of focused meditation much easier to practice and maintain for a longer time. Explore concepts of mental health, such as samskaras (conditioned patterns) and dukkha (suffering) from Yoga, in addition to understanding different Taoist ideas which can help us foster tolerance and many other positive behaviors. By now, it’s no secret that the regular practice of yoga results in many physical benefits such as improved flexibility, strength, and posture. However, the effect it has on our energy level is often overlooked. The exercise and breathing routines in yoga can actually bring more vital life energy into our system, which in turn enhances one’s mood and state of well-being. ​​There are so many ways in which yoga and meditation improve well-being! To sign up for the Body Mind Breath program, see registration below. As an advanced SunDo Taoist Yoga practitioner of 25 years, Christine Ucich, M.Ed., CYT, and owner of One World Wellness, has not only experienced first-hand the physical and emotional healing effects of a yoga and meditation practice, she also works with the students at her studio undergoing this process themselves. Focusing on breathwork, Christine teaches people to tap into their breath as a catalyst for true healing and transformation. ​Passionate about supporting individuals in discovering their inner wisdom, Laurie Edwaards, Psy. D., RYT weaves together traditional psychology, mindfulness theory, meditation, and Eastern philosophy. Currently, she has trained as a yoga therapist and serves as a psychologist on the faculty of Yale University. She obtained her doctoral degree at the California Institute of Integral Studies and has her own private practice in Branford CT.
Register by September 12 to receive $20 off standard price. This program has spaces for 8 students which may fill quickly. Payments can be made online through PayPal with an account or credit card. ​To register early by mail, make checks out to One World Wellness. Upon registration, you will receive a confirmation email with program details and directions. Program includes three class sessions with two instructors, practice resources to take home with you and additional opportunities to set up therapy sessions outside of class. Classes are held at One World Wellness, 967 North High Street, East Haven CT. For more information, contact us or call 203.998.5688. Please note: Yoga or meditation is not a substitute for regular psychotherapy or medication. Rather, these sessions are recommended as an adjunct to talk therapy or medication to facilitate the process of psychological healing.